I just got some wood pellets for smoking and got this fantastic idea of smoking crabs. I saw these nice live crabs at the market. My first crab was the French brown crab but since it was frozen, I didnt like the meat. The smokiness was great though. 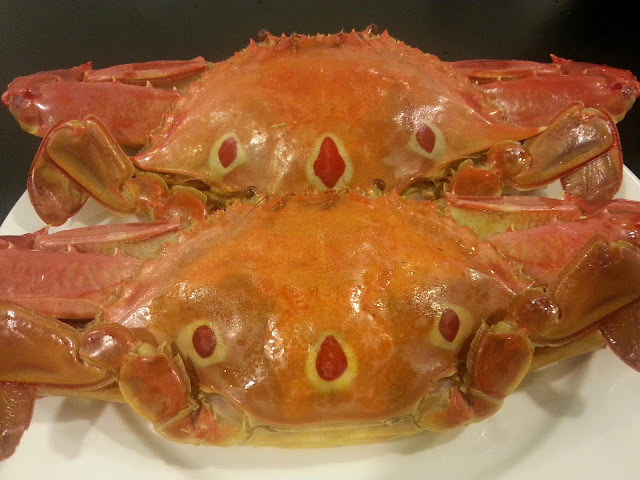 Both crabs were first cooked and one of the crabs were opened before smoking. I wanted to see if it made any difference to the taste between opening and not opening them. There were a lot of crabs to choose from at the market. I purposely picked crabs with softer shells as perhaps the smoke would penetrate better.